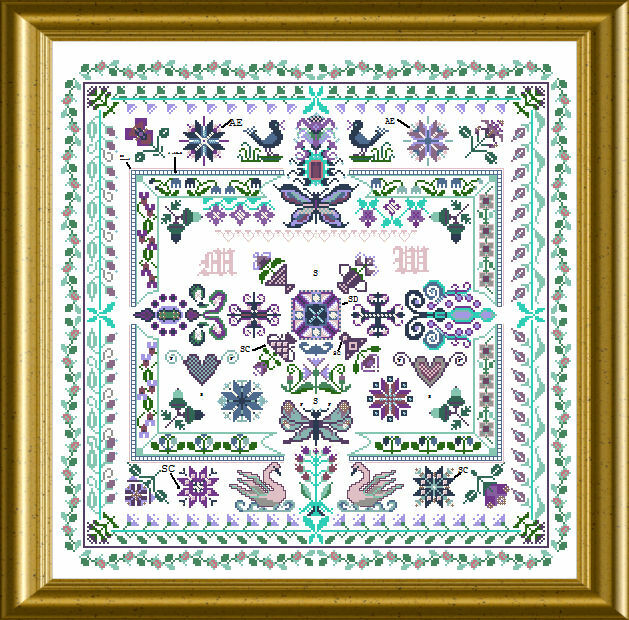 Here you can stitch with these colors and create a sampler with lots of cross stitch, Special Stitches and backstitching. 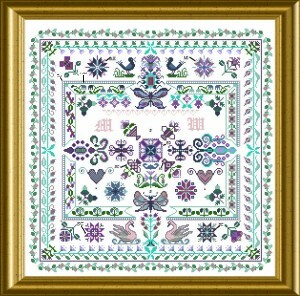 You will use diverse threads, silks, metallics, beads and sparklies. 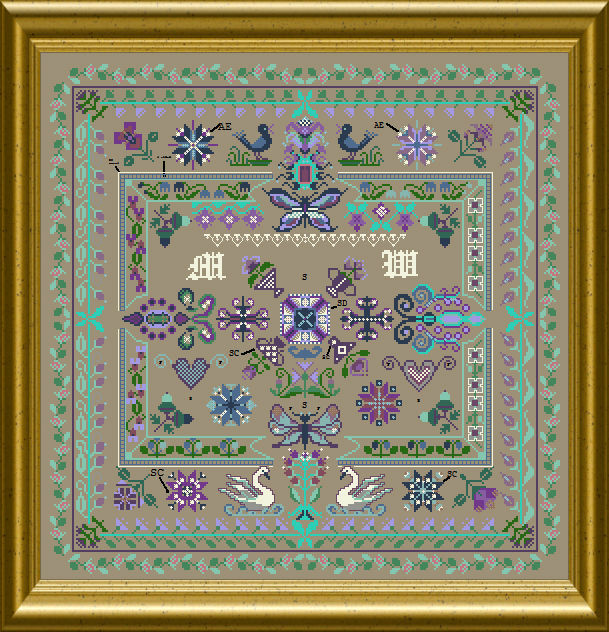 You can personalize the piece with help of the provided alphabet and make your own treasure and heirloom ! 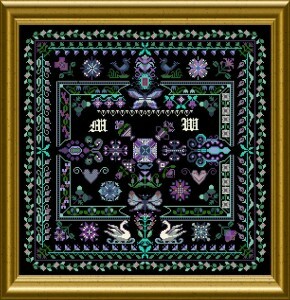 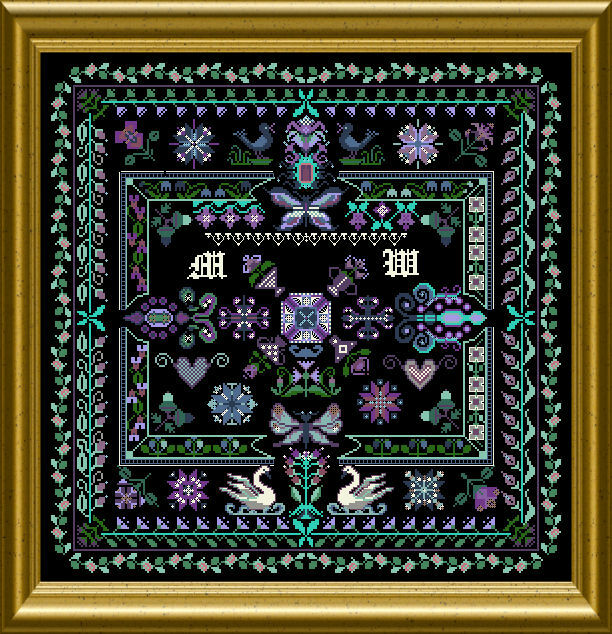 The mere stitch count of this design is 255 x 255 stitches.